In terms of the calendar, this Season of Lent has been one of the most interesting of my ministry. Ash Wednesday fell on Valentine's Day, Easter falls on April Fool's Day, and today, Palm Sunday, falls on the day the Church commemorates the visitation of the angel Gabriel to a young woman named Mary-- the observance is called Annunciation. Annunciation means "announcement." 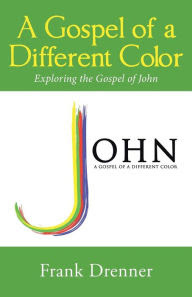 The book we've read in small groups and paralleled in sermons throughout Lent, Embracing the Uncertain, makes the connection between Annunciation and Jesus praying in the garden before his arrest. The angel appears to Mary and announces that she will become pregnant by the Holy Spirit, that she is to name the child Jesus, because he will save God's people from their sins. She agrees to participate. 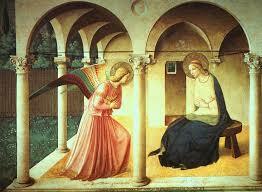 Annunciation is observed on March 25, nine months before December 25, when we commemorate the birth of Jesus. In fact, Mary is named in the gospels more often than any of the twelve disciples. In the Eastern Church, the Orthodox tradition, Mary is known as Theotokos, Bearer of God. Her participation and assent to God's plan of salvation shows her obedience. Years later, Jesus prays in a garden, alone. The events of the week were overwhelming. It began with thousands of people lining the streets, waving palm branches and shouting, "Hosanna! ", which means, "Lord save us!" By Thursday Jesus shares a meal with only twelve people, the disciples, and one of them, Judas, abandons him, leaving only eleven. When they go to the garden he subdivides them further, taking Peter, James, and John with him to pray. Then he leaves them, going a few feet to pray by himself. Alone, he struggles with his mission: "Father, take this cup from me." He returns to the three friends, finding them napping. He asks them to keep awake. He goes away to pray again. The anguish is so real that in Luke's version he seats blood and angels arrive to minister to him. "Father, not my will, but yours be done." Finding the disciples asleep again, he says, "Rise, my betrayer is at hand." Despite his anguish, Jesus remains faithful and obedient. Like Mary. I've been listening to a new podcast recently called 99% Invisible. It's a podcast about design. 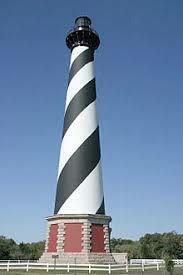 Rolling through the archives, I heard one about a lighthouse on the Outer Banks of North Carolina at Cape Hatteras. Engineers noted that a seawall would not help. Some argued it should be allowed to collapse into the sea; it has fulfilled its mission. After much debate, a new idea emerged: Managed Retreat: moving structures, homes, roads, etc further inland to make room for the sea and to preserve the ever-changing shoreline. No one liked the idea of retreat, but as I said, the government had final say. So in the late 1990s it was decided to move the lighthouse inland almost 3000 feet. At a cost of roughly $10 million, it took nearly a month to move. Over time, a funny thing happened: everyone, even the harshest critics of the plan, agreed that moving the lighthouse was the greatest decision ever. Businesses said during the month-long move their income exploded because of media and sightseers. In the two decades since the move, Cape Hatteras became a much more popular tourist attraction. What does this have to do with Holy Week? Well, I started asking myself: what in us is eroding? How is our relationship with Christ falling away over time? What drastic measures can we take to make it right? For me, that's what Managed Retreat is-- not surrender, but new possibilities. Three times, Jesus returns to the disciples, finding them asleep. "Keep awake!" he says. Stay with me. Be present with me. As Mary and Jesus are both obedient to God despite the personal circumstances and risks, may God find us to be faithful this Holy Week. We've traveled through the streets of Jerusalem, waving our palms branches and yelling "Hosanna!" Now, don' just fly over the remaining days of the week, but slowly, carefully, mindfully, make your way to the Empty Tomb of Easter. Around the table Thursday night. In the garden and at the Cross Friday night. Celebration Sunday next week. May God find us all faithful, awake, and ready to participate.